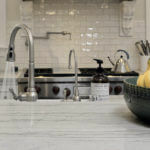 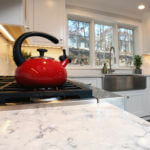 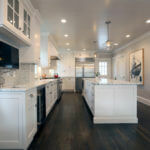 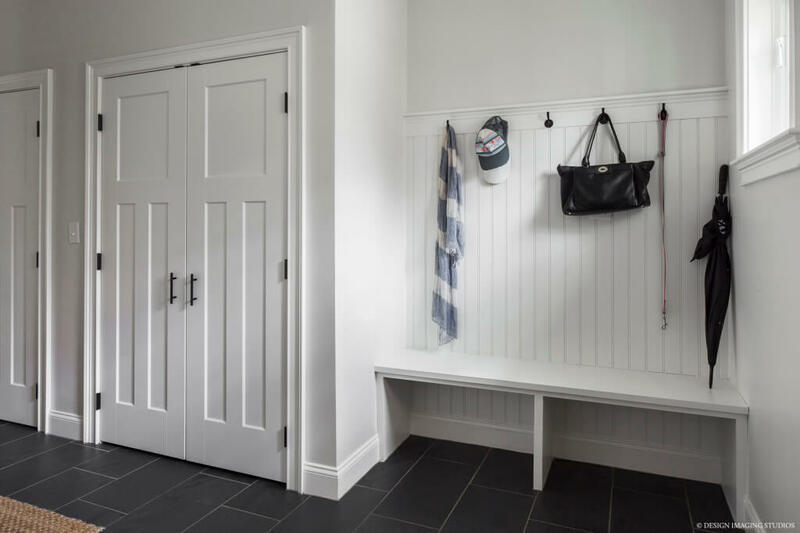 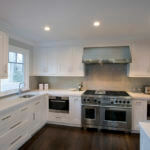 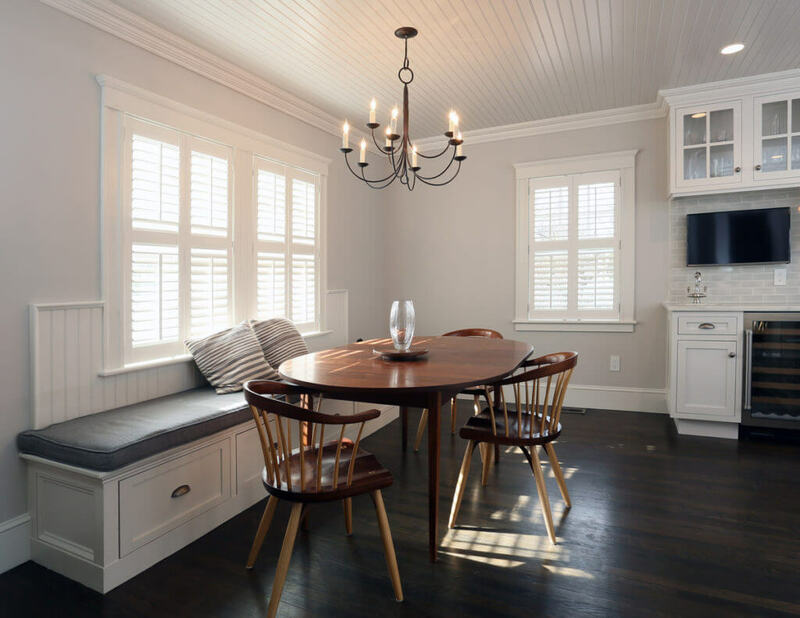 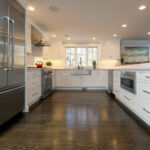 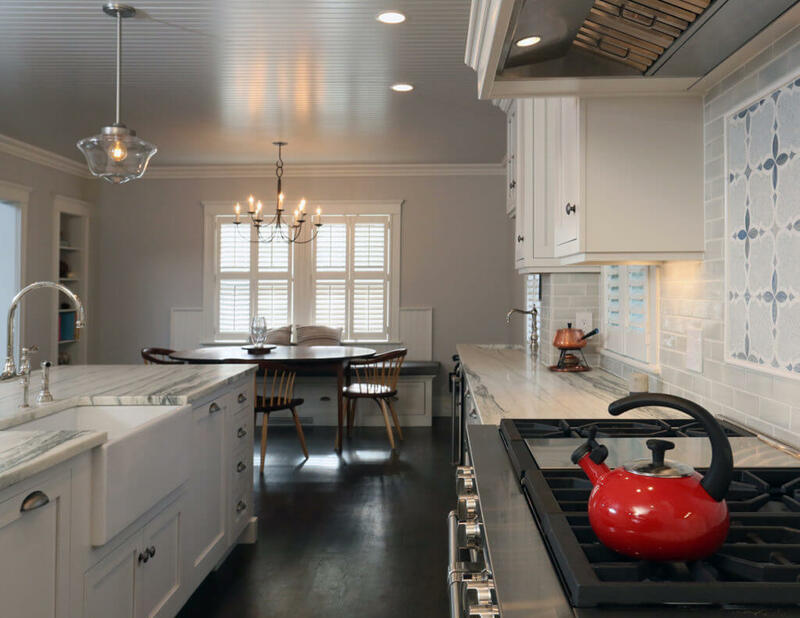 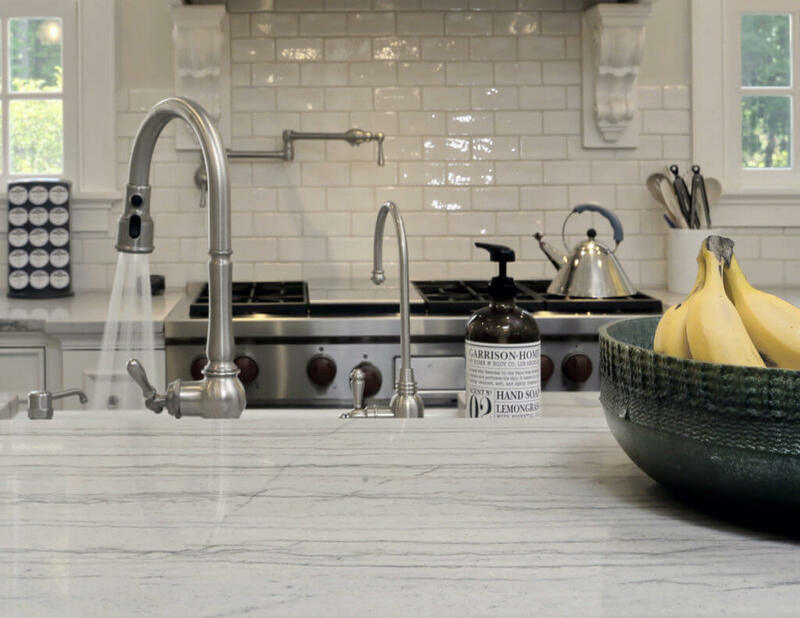 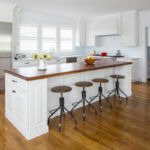 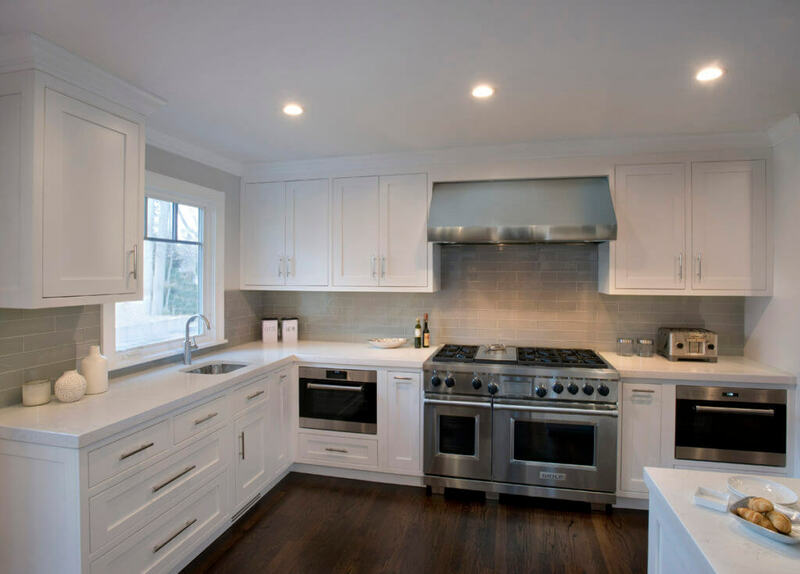 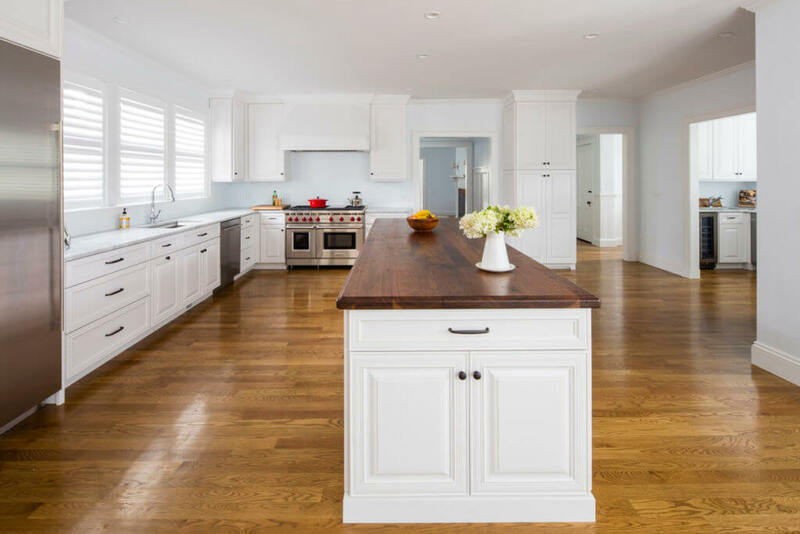 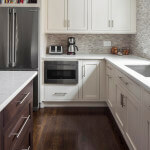 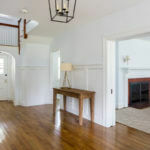 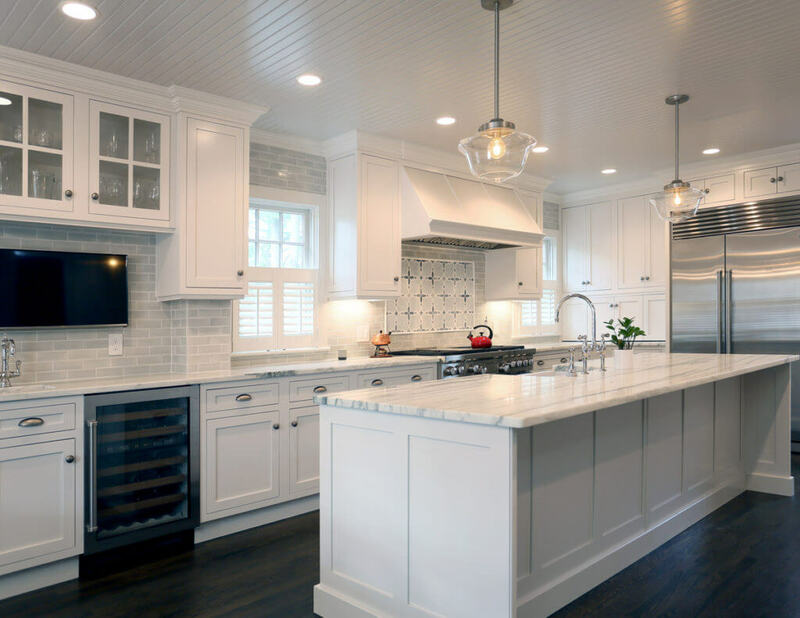 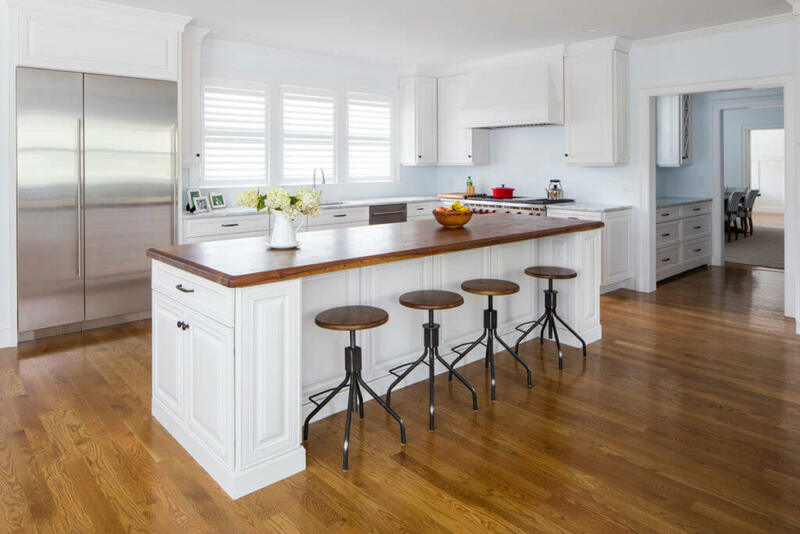 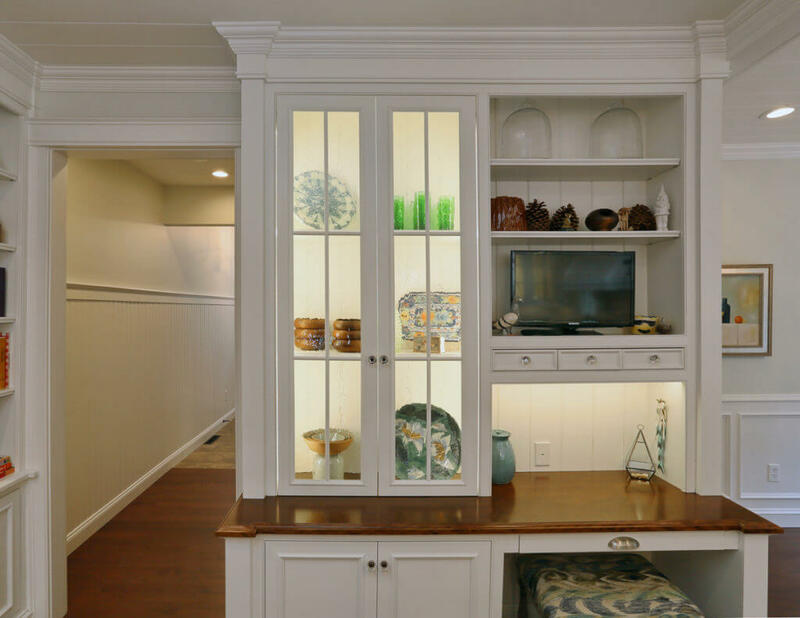 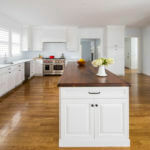 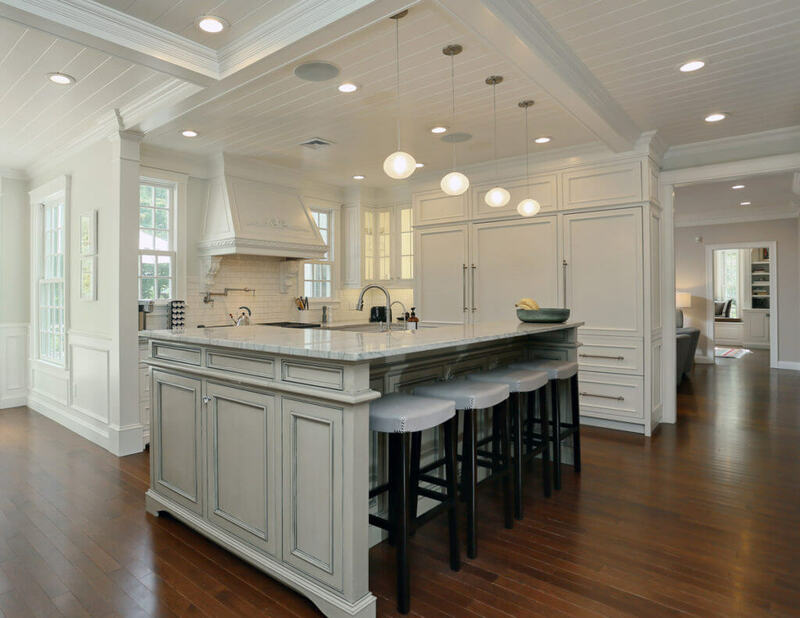 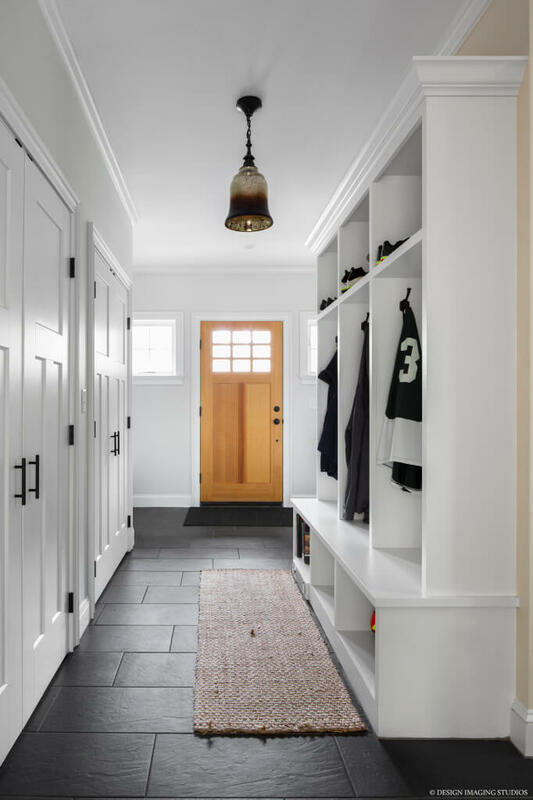 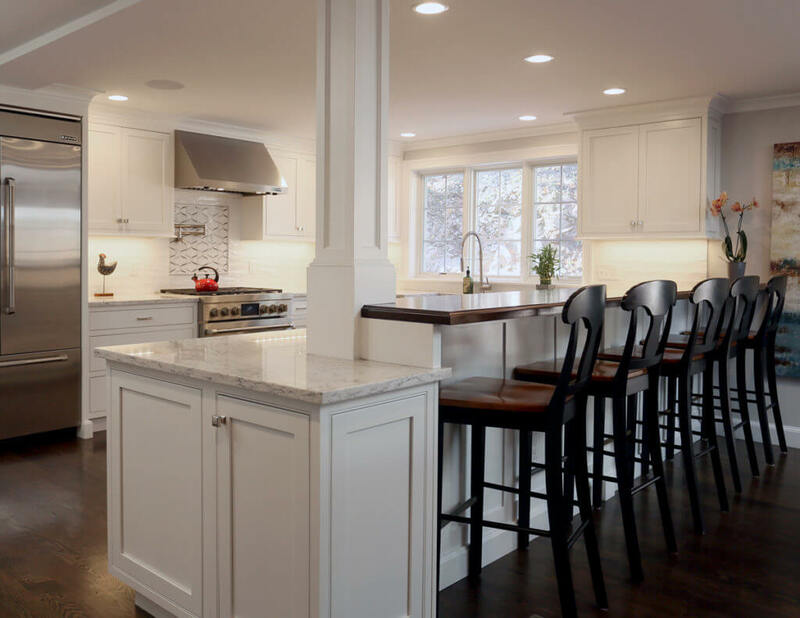 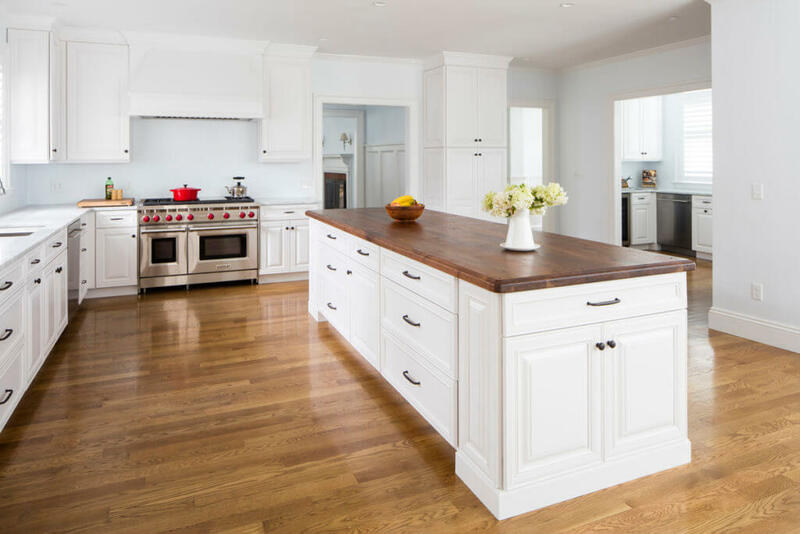 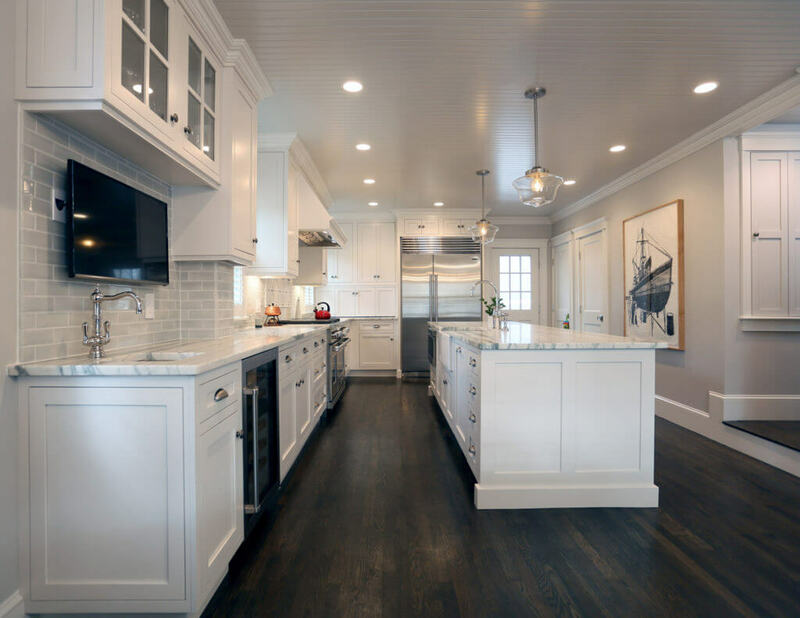 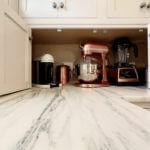 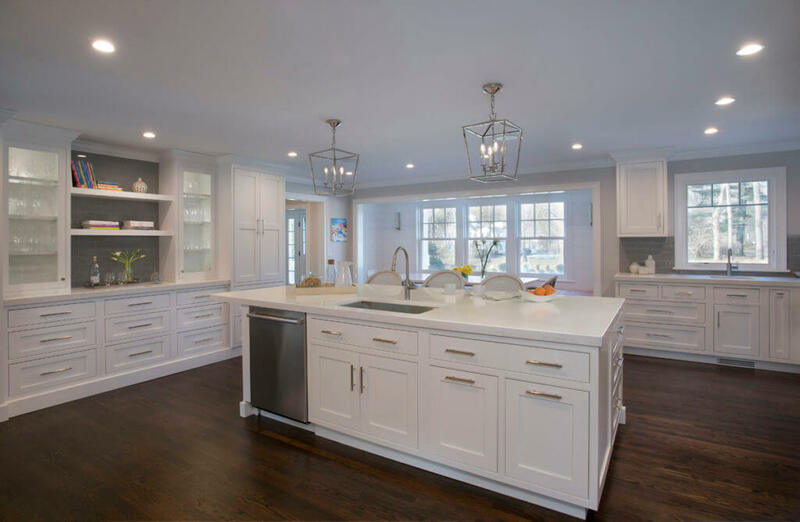 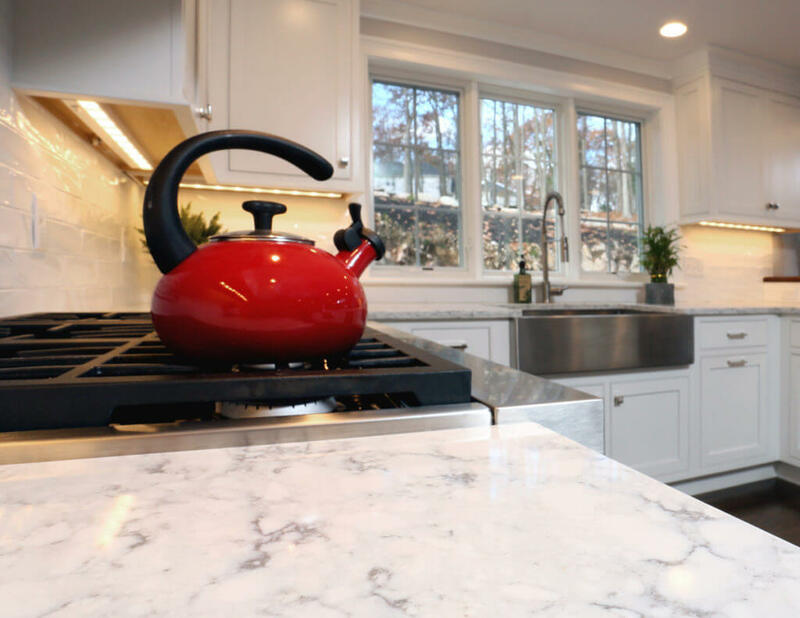 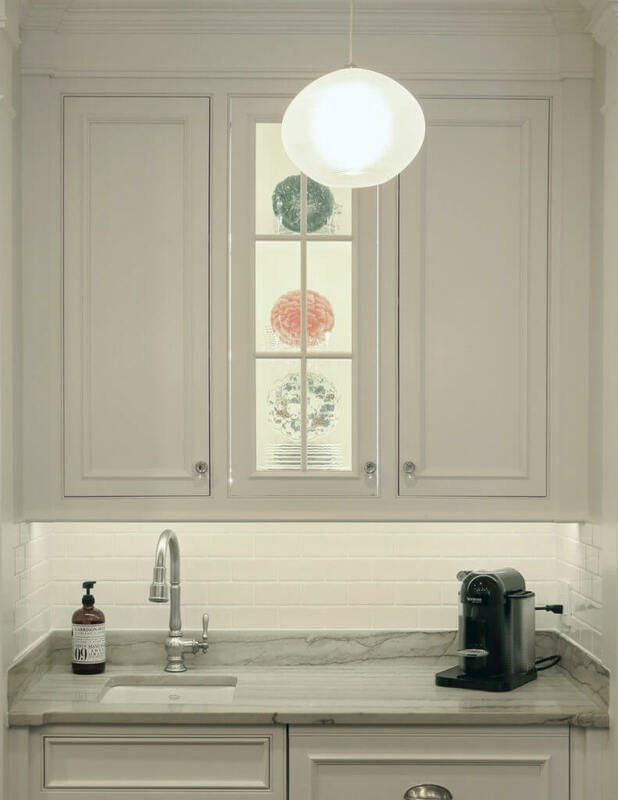 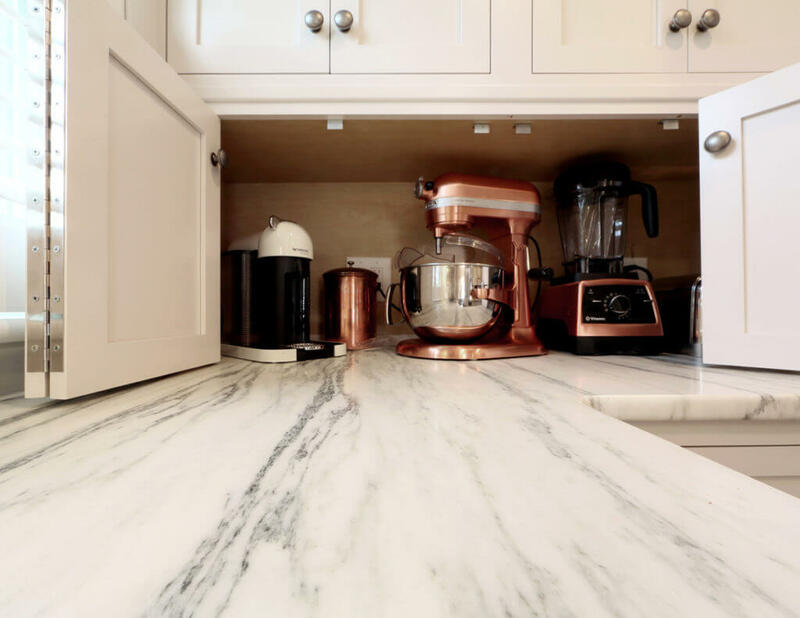 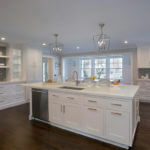 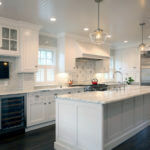 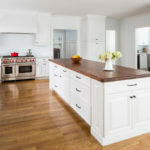 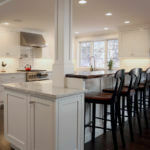 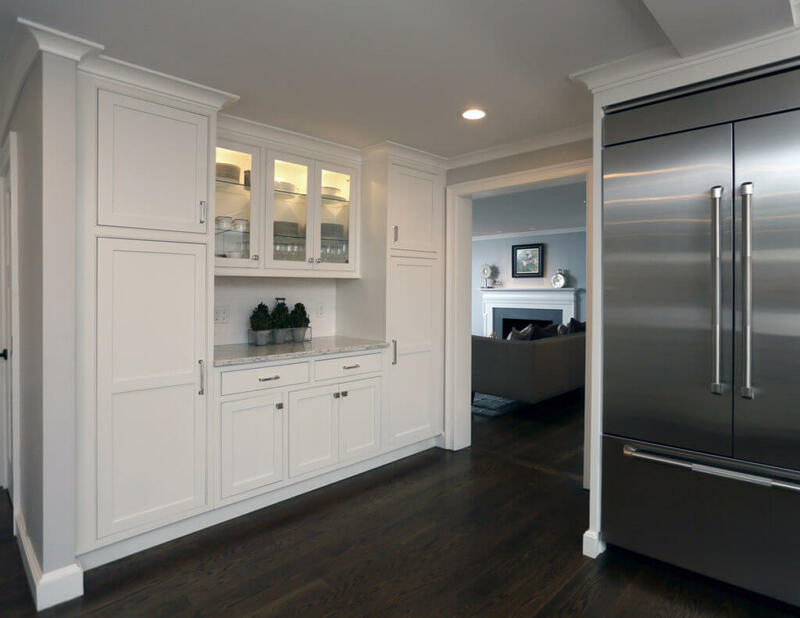 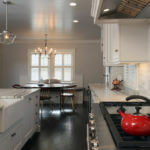 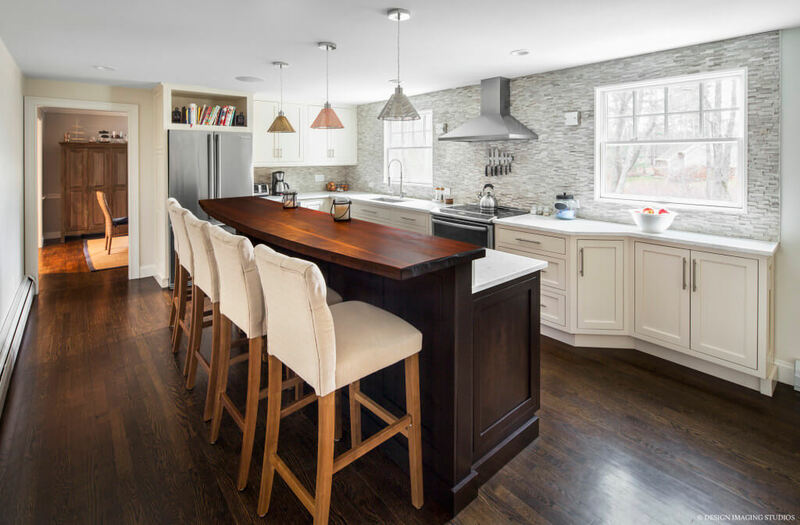 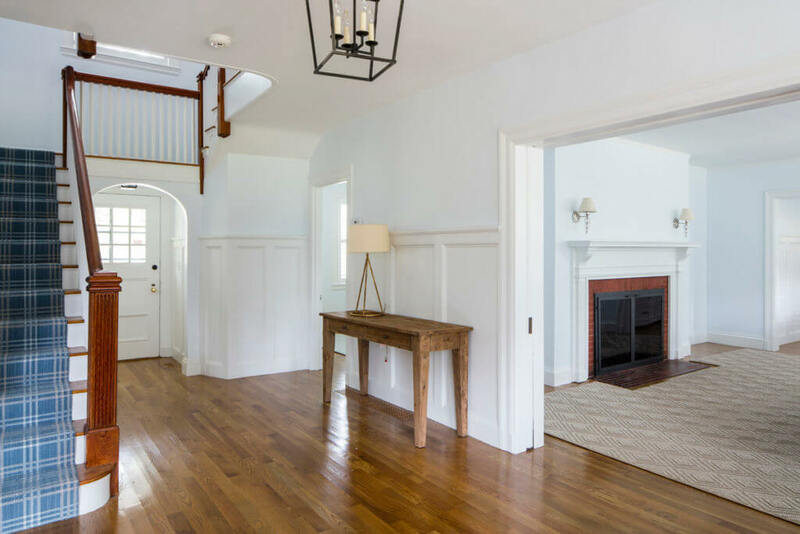 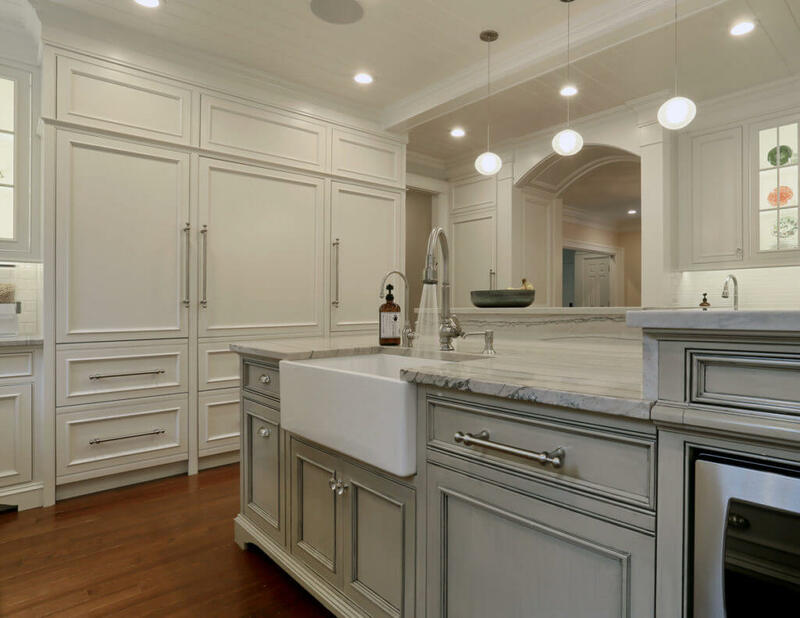 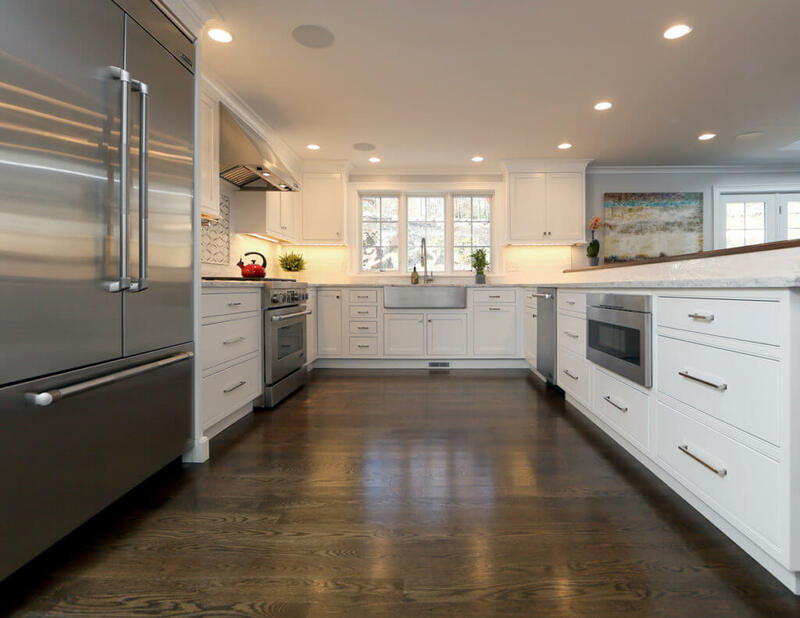 Working as part of a team with the owner, architect and designer proved very successful in creating a beautiful, functional kitchen renovation in Duxbury. 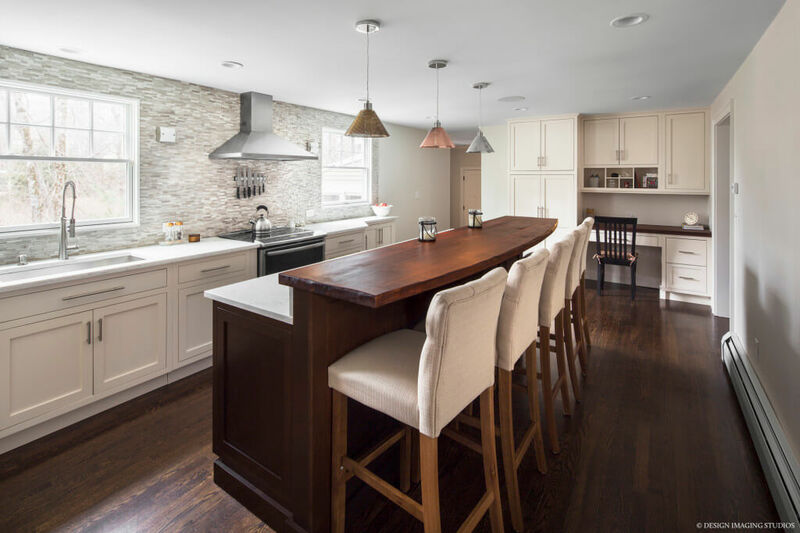 The owner had design ideas from a recent stay abroad and her material selections including natural stone tile, a wood counter and copper light fixtures. 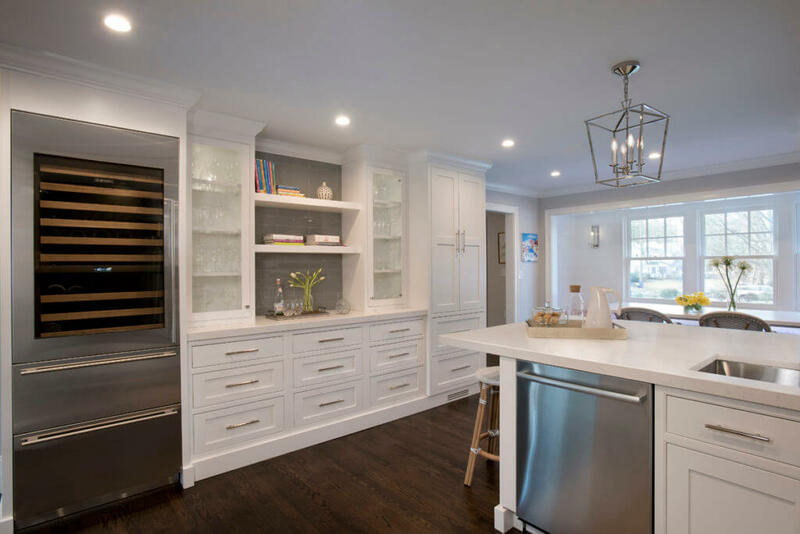 Careful design and planning went into rearranging unused spaces so as to retain the original footprint while doubling the size of the kitchen. 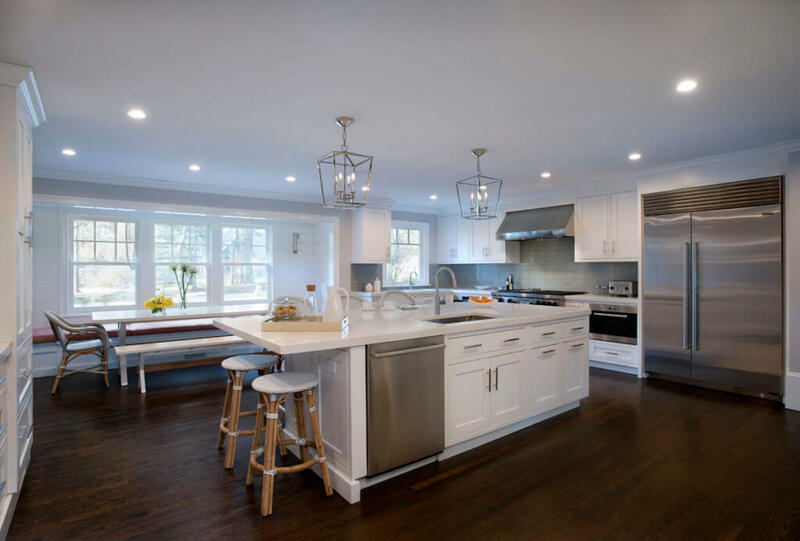 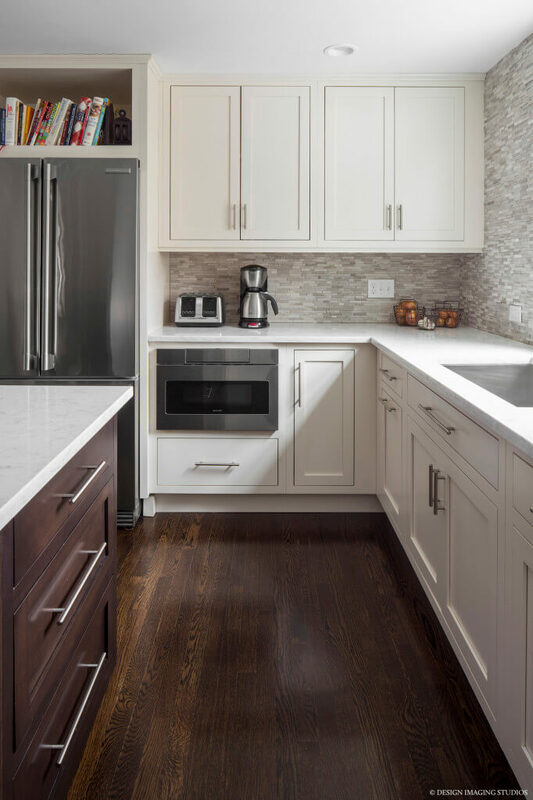 Recovering underutilized spaces resulted in a much larger working kitchen with a big island offering ample room for Mom to cook as well as comfortably accommodate the kids and family. 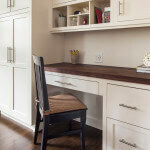 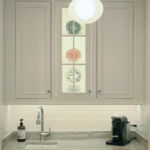 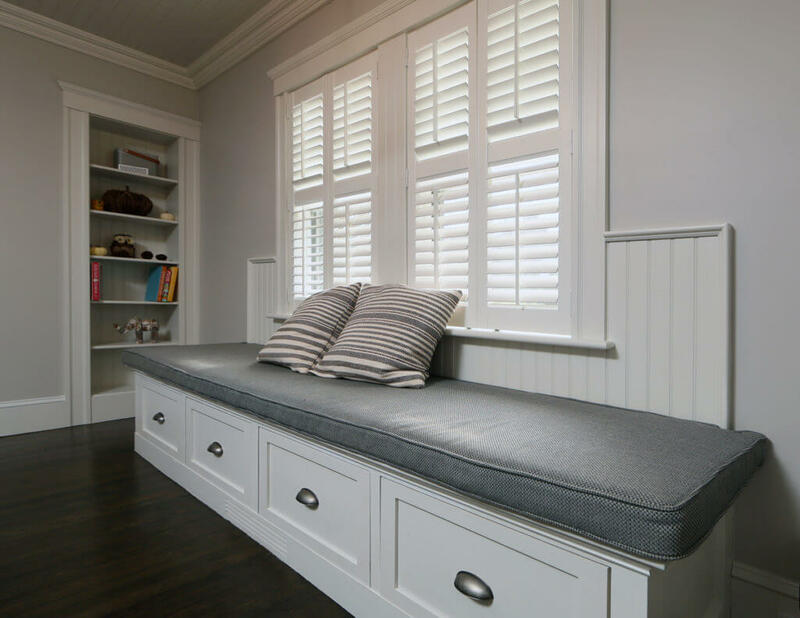 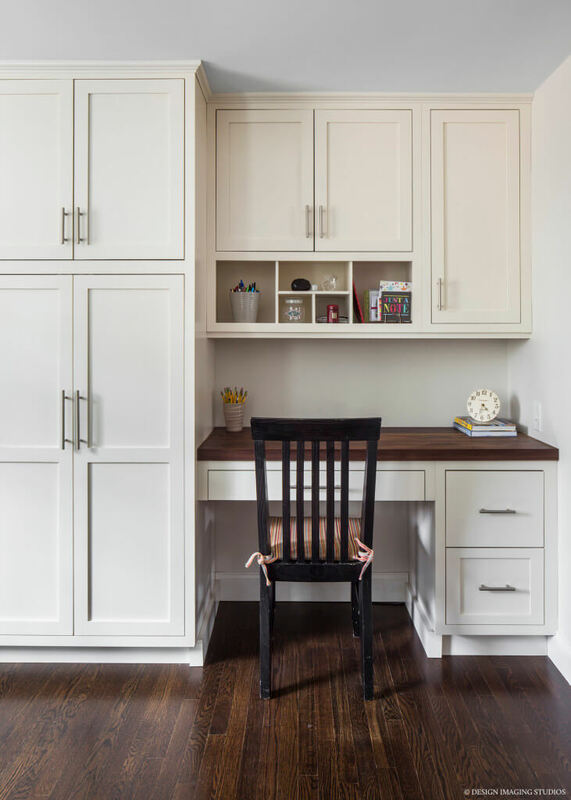 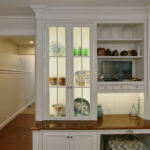 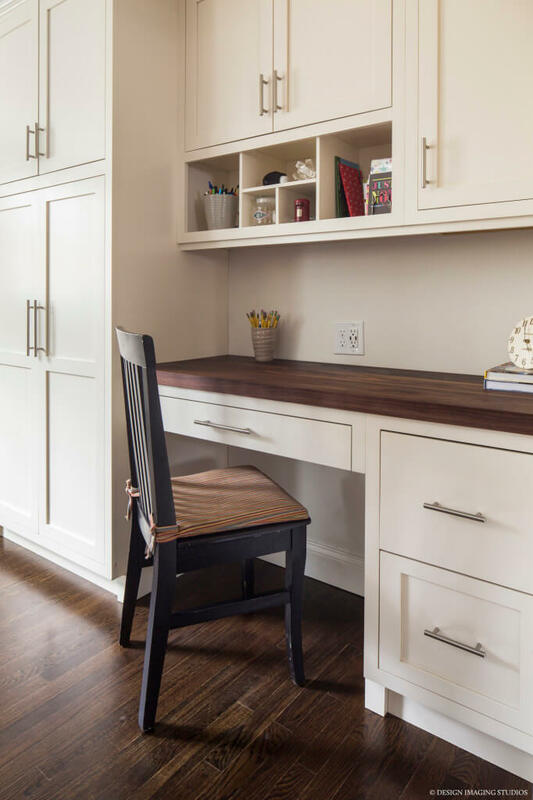 The built in desk area helps organize the space so visual focus stays with the design features.